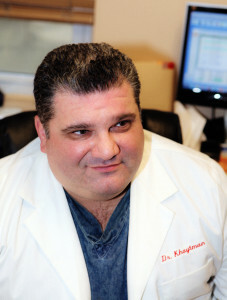 Dr. Khaytman is extensively educated in his field. After earning his dental degree from New York University (NYU) College of Dentistry in 2000, he completed a one-year residency at Maimonides Medical Center. Member of American Dental Association since 2001. Dr. Khaytman continually updates his clinical skills through research and continuing education courses at several prestigious institutions. Whether it’s simple tooth whitening or a more advanced procedures including complete makeover, cosmetic dentist Dr. D. Khaytman has the experience and knowledge to bring your dreams to reality. Dr. Khaytman highly-trained in all types of cosmetic dentistry procedures, including tooth whitening, bridges, crowns, implants and veneers. Dr. Khaytman and his staff committed to the highest quality dentistry and top-notch patient service. 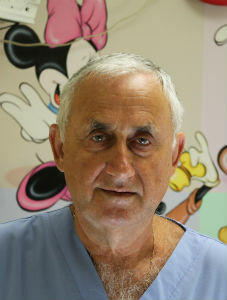 Dr. Ingberman practiced dentistry in Kursk, Russia for 15 years before moving to the United States . After arriving to New York, he applied to New York University College of Dentistry and graduated in 1990, giving him over 35 years of experience in all aspects of dentistry. Dentistry doesnt stay still and constantly evolving. Dr. Ingberman believes in continuing education throughout his professional career. He completed many extensive courses and work shops to achieve exceptional level of skills. From first contact Dr. Ingberman and staff are committed to your individual attention and strive to provide personalized oral health care tailored for your unique dental needs and goals. We work hard to create the ultimate stress-free and comfortable dental experience. Your health and comfort are our top priorities, and we do what it takes to help every patient understand their symptoms and treatment options in a relaxed office setting. We want you to feel relaxed and at ease when visiting us.